Although the driver of a bus carrying 21 Sherman School students seen “swerving” along Fairfield Beach Road Wednesday afternoon does not face criminal charges from police, he has lost his job. 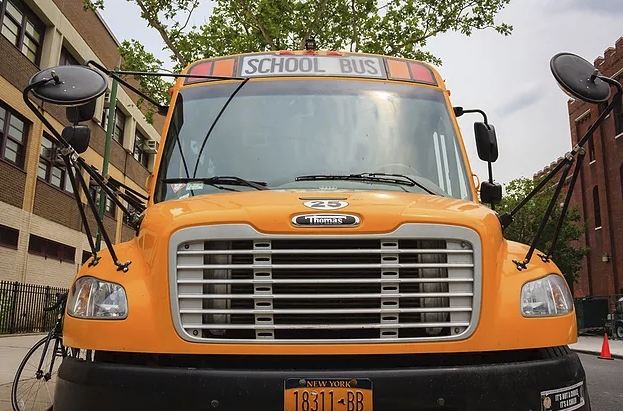 Superintendent of Schools David Title, in a statement Thursday, said that school officials exercised their right to remove the driver under terms of the contract with First Student, the school district’s bus provider. He was removed from the list of approved bus drivers “effective immediately,” Title said. Police officials said the Wednesday afternoon incident remains under investigation as they review video from the monitoring camera on the bus, but indicated the driver may have swerved to avoid hitting a small animal. The driver also apparently joked that he felt sleepy and briefly mimicked taking a nap behind the wheel, police said. Title also said the probe indicated the driver was “playing a prank” on students. That behavior apparently panicked one of the students, who called her mother, who in turn contacted police to express concern the driver might be in danger of losing control of the bus. Police dispatched cruisers to Fairfield Beach Road, and stopped the bus near 1057 Fairfield Beach Road. They were joined at the scene by Sherman School Principal Eileen Roxbee and John Ficke, the school district’s transportation director. The driver was taken off the bus, and a substitute driver was sent to the scene to complete the afternoon run. After interviewing students, police said it appeared that only one of the passengers had been concerned by the driver’s behavior. Police later said they received no other reports from the neighborhood that the school bus was seen traveling erratically. Police Lt. Jame Perez said Wednesday there was no indication that substance abuse or medical issues were involved.